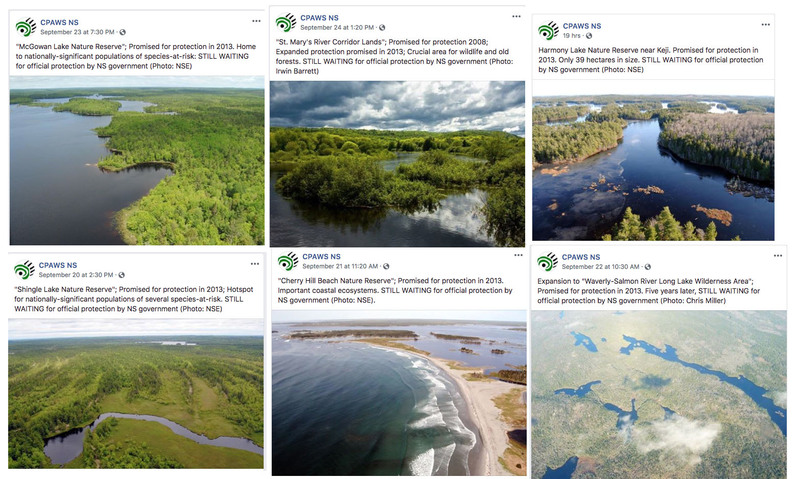 Beginning today, June 11, 2018, this page will provide a list of links to news and some social media posts related to forests and forestry in Nova Scotia, the most recent items at the top, as I access them. 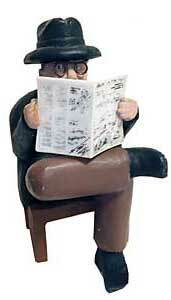 Some will also be listed under Independent Review, and some may also be the subject of a post on the Home Page. Up to this point I have attempted to provide a post on the home page about every news item; all posts are listed under About this site>All Posts. However, I have found that I am missing more and more as at times I can’t keep up with it all, not-to-mention that outdoor Nova Scotia is just too enticing at times. The dates cited below are the dates of publication of the news items (not the dates on which I accessed them). Nov 14, 2018: There is no sign that the CH will fix and make accessible the old links and now the Chronicle Herald further restricts online access to news and opinions (Post, Nov 10, 2018). In general, from this point on I will not cite Chronicle Herald articles when alternative reports are available. Feb 1, 2019: It seems the Chronicle Herald is again making a lot of material freely available so I am again referencing such items. Thx CH. Too quick, I received this explanation a few hrs later: My Q: “I noticed that the CH is again making a lot of material freely available online (since Jan 23 or earlier). Can you confirm a change in policy? Thx. and Thx CH.” Response: No change in policy: we continue to work on improving the online experience and in doing so, our web developers have made e-paper access available from time to time – this will not be permanent. NOTE Jan 11, 2019: I will be taking a bit of break..so coverage of what’s in the news will be more intermittent for the next 3 months and even after that if the news items appear as frequently as they have been in the last several weeks. ‘Simply to0 much to try to catalogue them all. B.C’s version of “Variable Retention”? Brittany Wentzell for www.ckbw.ca “Some also criticized the removal of the term clearcut from the map, saying the move shows a lack of transparency by the department. 1126 pages of concerns which cite facts, sources, science, and experts. – The Canso Chemicals mystery: With the chemical plant long gone, why is the company still alive? And what about all that mercury pollution? – Northern Pulp says it “cares” — but for whom and for what? Joan Baxter in the Halifax Examiner JB explores “the facts” about employment generated by NP. “CBC Radio’s Information Morning was in Pictou, N.S., on Thursday for a live show dedicated to the future of Northern Pulp.” Archived 1 hr 17 min Audio available, interviews with many people on all sides of the debate about the mill. NRDC report by Jennifer Skene & Shelley Vinyard. “…This report provides an overview of the major tissue brands and reveals the worst corporate offenders driving boreal degradation. It describes the impact of virgin pulp sourced from the old growth forests like Canada’s boreal forest and the United States’ strong reliance on tissue products. “The Canadian Environmental Assessment Agency (CEAA) is in receipt of Northern Pulp’s proposal to construct a new effluent treatment facility at its Abercrombie Point location. CEAA is currently reviewing feedback it has received from Pictou Landing First Nation, local stakeholders, and the public in respect of whether it should recommend a federal environmental assessment be conducted regarding this project proposal. “CEAA will be accepting feedback until February 25, 2019. If you have previously submitted feedback, there is no need to re-submit in order to have your comments considered. – SURETTE: Can we manage a forestry crisis properly this time? Last fall, I drove through those eastern lands, from south of New Glasgow through to Sherbrooke on the Atlantic shore on Highway 348, over some 70 kilometres. I saw only one patch of big trees — on a slope coming down to water where big machines presumably couldn’t go. The rest had all been clearcut over the past decades. The “highway” was itself more of a logging road that had been given a thin layer of paving, now all broken up and potholed, presumably during the giveaway Buchanan government era of the 1980s. The only logical reason for paving it would have been to make it easier for the Pictou mill to harvest. Another hidden subsidy. There are more roads like it. HOW NOVA SCOTIA’S FORESTRY REGULATORS ARE ALREADY UNDERMINING THE LAHEY REPORT, AND WHAT WE CAN DO ABOUT IT. I heard the same ad several times today. It talks about the 2.1 billion dollar forest industry in NS and how 11,500 jobs rely on on Northern Pulp’s continued operation; it asks people to extend their support. 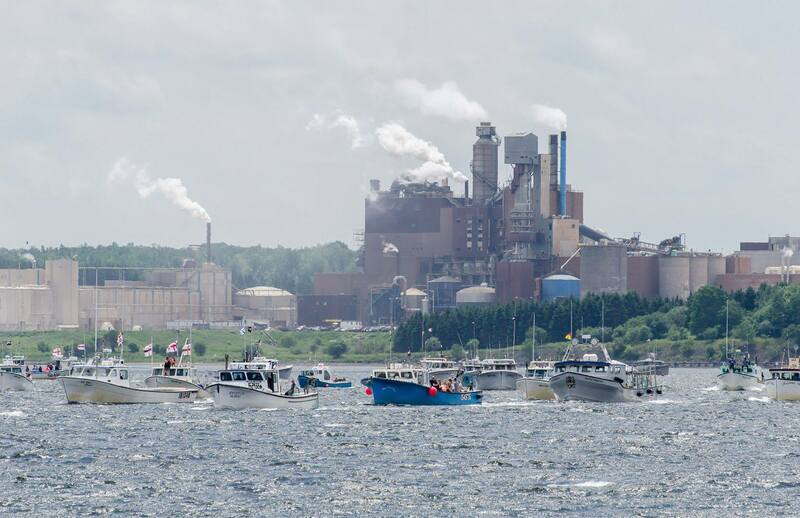 Ralph Surette in the Chronicle Herald (behind a paywall)“Boat Harbour, the notoriously polluted outfall for the pulp mill in Pictou County, is to close in January 2020 — the provincial government having finally given in to 50 years of anguished citizen protest. The alternative, however, is to pipe the effluent miles out into Northumberland Strait…On economics alone, the arguments for the mill were always weak. Its government-given control over the forest starved and killed off local mills. Had it never existed, the jobs it provides would have been created anyway, and a stable local industry would likely be going today with vastly less destruction of the forest — a destruction foreseen by provincial government forestry experts who were dead against this mill when it was built in 1967, but were overruled by the government of Robert Stanfield. Closing, of course, will be painful — roughly 1,000 jobs, some 300 in the mill, the rest as various woods contractors. However, Sydney has moved on after Sydney Steel, and so has Liverpool since the Mersey mill closed. Also, closing could be costly — possibly hundreds of millions of dollars in cleanup costs and liabilities the province has unwisely signed up for over time to protect the mill, which will also likely sue for losses. – Healthy Forest Coalition reached the milestone of 1,000 members! Fram Dinshaw, Amherst News “For the sixth year in a row he [Dave MacFarlane] is driving the city’s Christmas tree from Nova Scotia to Boston, along highways often lined with cheering bystanders and motorists honking their horns in support.” View Boston Christmas Tree on Wikipedia. Adam MacInnis in The News (New Glascow). The CH article below is an abridged version of this one which provides more background. – Is this proof 150-pound cats still lurk around Nova Scotia? The News “I was saddened last week to learn of the passing of Dr. Helene Van Doninck, a veterinarian who ran the Cobequid Wildlife Rehabilitation Center near Truro”. I was too. Very saddened. 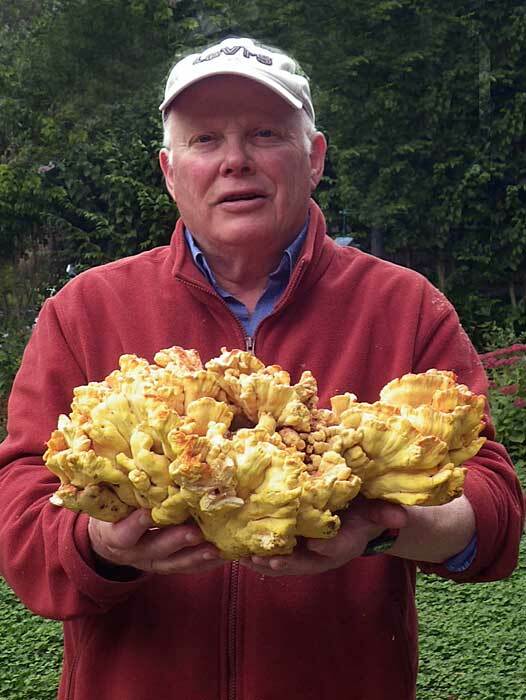 Amongst the wild edibles in Jamie Simpson’s book: my favourite – Chicken of the Woods, found on old oaks; no longer a secret! – Is P.E.I. the straw that broke the back of Trudeau carbon tax? – Should Nova Scotia’s uranium ban be lifted? – EDITORIAL: Pulp fiction or pipe dream? CBC News ‘When we sell Nova Scotia to the world, we’re selling it as ‘Canada’s Ocean Playground,’ says Pictou resident. – OPINION: Water more precious than gold, except in N.S. “The Forestry Advisory Report is a summary of the initial research on forestry and it includes important and timely recommendations for council’s consideration. The committee sees this report as practical and visionary and it points to the need for both short and long-term collaboration between the province, the private sector, industry, and the municipality”.Thx to Bob Bancroft for bringing this item to my attention. – Also: Did clear-cutting contribute to this year’s record flooding? Dave Gunning in Chronicle Herald.